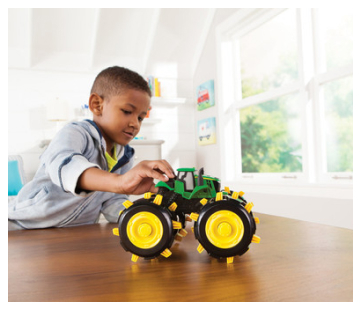 This first riding toy encourages imaginative play while helping learn farm sounds. The three-in-one design allows toddlers to scoot along, push along, or be pushed along by an adult. Features normal/low/off volume setting for sounds--#1 feature requested by moms! Seat flips out to reveal educational activity playset area.